The collectors were out in force for our specialist Model Railway sale held on 15th July 2015, with many customers lining up at the door ready for viewing the sale at 8.00am. The viewing room was particularly busy and consequently there was an excellent attendance at the auction room with over 80% of lots offered selling on the day. The sale began with the Real Steam section with all of the lots selling well. The highlight was this c1905 gauge 3 7093 ‘King Edward passenger train which realised a total of £3,068. 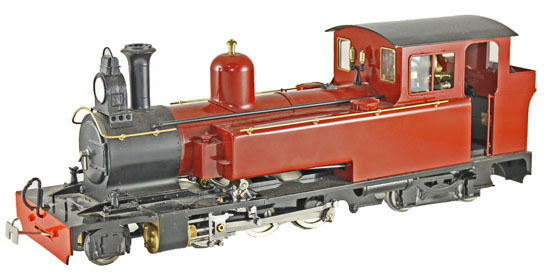 Modern examples of real steam were also popular with this Roundhouse G Gauge Leek and Manifold 2-6-4T achieving £1,239. 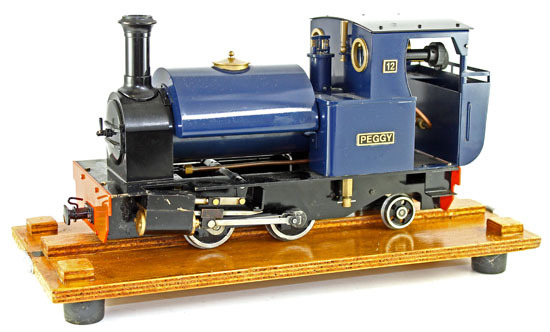 And this Accucraft G Gauge 12 ‘Peggy’ loco selling for £460. There were 65 lots of ACE Trains in the O gauge section including this LMS maroon 2465 Stanier Class locomotive which realised £767. This CR 2546 Stanier Class loco achieved £767. And this LNER 4484 ‘Falcon’ A4 class Pacific loco and tender which sold for £1,032. 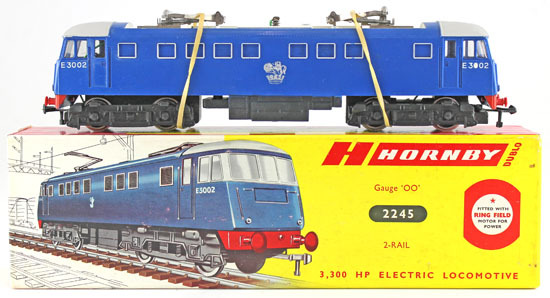 Moving on to the OO/ HO section there were 40 lots of Hornby Dublo offered in the sale including this GWR Castle class BR 5002 ‘Ludlow Castle’ which realised £472. And this Class AL1 electric BR E3002 achieved £590. Modern OO/HO gauge locomotives were also sought after with this Marklin 3-rail DR 53 0001 ‘Borsig’ loco and tender which sold for £188. 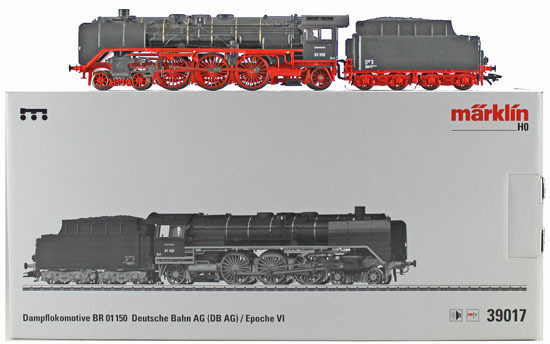 And this Marklin 3-rail BR 01 140 Deutsche Bahn AG Epoche loco and tender realised £188. Our next Model Railway auction will be held on Wednesday 18th November 2015. The full catalogue for this sale will be on our website in the next few weeks or keep an eye on our Twitter and Facebook pages which will include updates of our latest auction news. 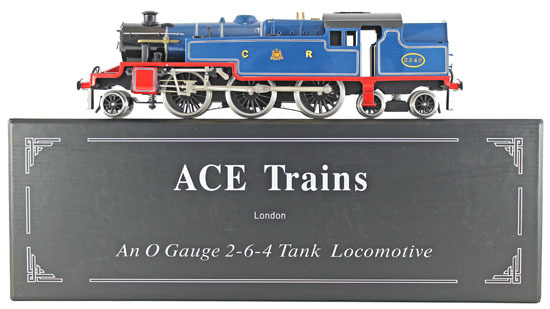 Are you thinking of selling your model railway collection or perhaps part of it? Would you like us to value your model railway collection and give you advice on how best to market it? Visit our model railway departement page for more information or call us on 01926 499 031 and ask to speak to one of our experts.